We are talking about the same Palestinian Authority (PA) that continues to receive millions of dollars in US aid annually. The same PA whose security forces are trained and equipped by Americans and Europeans. The same PA that has a "diplomatic mission" in Washington that is actively taking part in the campaign of incitement against the US and its leader. The anti-US campaign paves the way for terrorists to kill Americans. It feeds into the ideology of the Islamic State terror group, Al Qaeda, Muslim Brotherhood and Iran, which considers the US the "Great Satan." Hate speech and incitement make up the core of the Palestinian narrative. For several decades now, the Palestinians have been waging a massive and vicious campaign of incitement against Israel. This campaign has made it impossible for any Arab to even think about the prospects of peace with Israel. Notably, the Palestinian hatred of Israel is not linked to anything Israel does or does not do. Rather, the Palestinian hatred of Israel is based on Israel's existence. Palestinians hate Israel because they believe that Jews have no right to a sovereign country of their own in the Middle East. Palestinian hate speech against Israel is part of the global landscape: by now, no one even expects anything else from them. A Palestinian mosque preacher calling Jews "descendants of monkeys and pigs" is no story at all -- just more of the same. Similarly, a Palestinian maiming or murdering a Jew has become the norm. The day will come -- and it is not far away -- when reports of Palestinians not inciting against Israel and Jews will be a remarkable one. The day will come when the only story worth reporting is when a Palestinian did not carry out a terrorist attack against a Jew that day. Much ink has been spilled about the Palestinians' ongoing efforts to delegitimize Israel and demonize Jews. 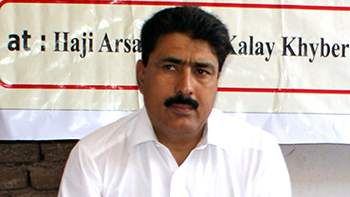 Hundreds, if not thousands, of such cases have been documented in the past few decades. We have become so inured to this Palestinian campaign of incitement and indoctrination that we see it as no different than a daily crossword puzzle in the newspaper. This campaign of hate and incitement has always served as a catalyst for terror attacks against Jews, thousands of whom have been killed and injured since the establishment of Israel 70 years ago. In recent months, we have witnessed a new twist in the Palestinian campaign of enmity. Israel is no longer the sole target of this campaign. For the Palestinians, there is a new enemy in town: the US and President Donald Trump and his administration. The Palestinians' anti-US drive is, by all accounts, unprecedented -- because of its tone and because of its terminology. Never before have the Palestinians dared to voice contempt, hostility and revulsion toward a US president and his senior officials. Israel can now take cold comfort in the fact that it is no longer alone at the top of the Palestinians' most-wanted list of enemies. The ruthless rhetoric the Palestinians are using against the US suggests that they have decided to put the Americans on an equal footing with Israel. The abusive rhetoric also shows that the Palestinians miss the "good old days" of the Obama administration, which they admired because of what they perceived as its support for everything the Palestinians said or did and its anti-Israel positions. The Palestinians miss the days when the Obama administration used to come out in public against Israel at all available podiums, especially in the United Nations. They miss the regular briefings of US officials who displayed "political correctness" by bad-mouthing the settlements and being hard-pressed to say a word against Palestinian abuses. They miss the days when Obama administration officials would lash out, on and off the record, against Israel and its prime minister, Benjamin Netanyahu. They miss the days when the State Department sometimes seemed to be more pro-Palestinian than the Palestinians themselves. Since December 2017, when President Trump announced his decision to recognize Jerusalem as Israel's capital, the Palestinians have been waging a systematic campaign of hatred and incitement against the US administration and its top officials. As the days pass, this campaign escalates in its defamatory tone. Hardly a day passes without the Palestinian Authority (PA) or one of its senior representatives launching a scathing attack on the Trump administration in particular, and the US in general. Just a reminder, please: We are talking about the same Palestinian Authority that continues to receive millions of dollars in US aid annually. We are also talking about the same PA whose security forces are trained and equipped by Americans and Europeans. We are talking about the same PA that has a "diplomatic mission" in Washington that is actively taking part in the campaign of incitement against the US and its leader. The silence and indifference of the international community toward calling out the Palestinian offensive serves to embolden Palestinian leaders to step up their vicious rhetorical assaults. And, as is the situation with Israel, this incitement and indoctrination is being translated into acts of violence and exhibitions of hatred towards the US. Burning effigies of Trump and US flags have become the norm in the West Bank and Gaza Strip. Attacking and intimidating US citizens visiting Palestinian cities and villages have also become familiar in the Palestinian landscape. Chanting anti-US slogans has become so common that one is left with the impression that the Americans are responsible for the sum total of Palestinian, Arab and Muslim misery. It's only a matter of time before a US citizen or official visiting a Palestinian city is harmed or, God forbid, killed. US citizens are no longer different than an Israeli soldier or settler; they, too, have become legitimate targets of Palestinian violence. This is what the campaign of hatred and incitement has done to the Palestinian public. 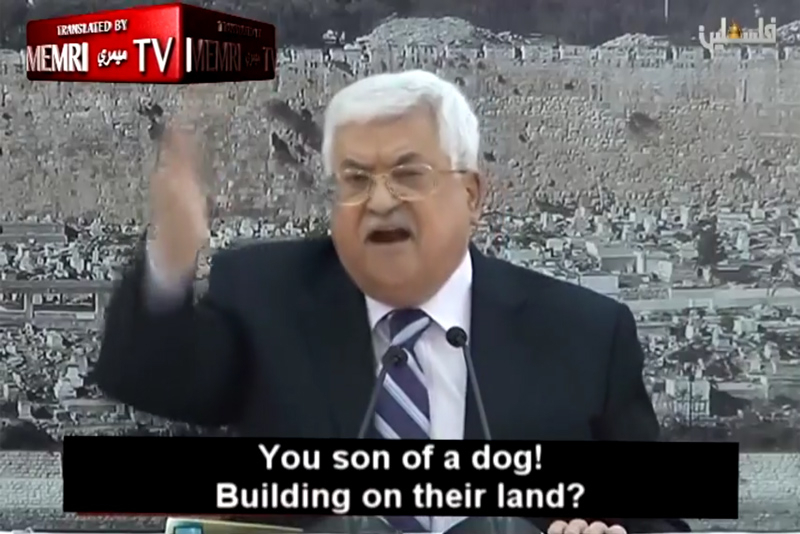 When Palestinian Authority President Mahmoud Abbas calls US Ambassador to Israel, David Friedman, a "son of a dog," he is telling Palestinians that they should treat this American as they treat animals: with no respect at all and with disdain and contempt. In Islam, dogs are traditionally considered ritually impure. For many Muslims, the mere sight of a dog during prayer has the power to nullify a pious Muslim's supplications. Abbas's derogatory remark sends a message to the Palestinians that there is no difference between an "unclean" dog and Trump's ambassador to Israel. Abbas, who is far from naive, knows very well the strength of this insult in Islam: he would never use it against his rivals in Hamas or any Arab or Muslim. Friedman is not the only top US official being targeted by the Palestinian leaders' vicious campaign of hate and contempt. US Ambassador to the UN, Nikki Haley, is also at the top of the list. The fact that she is a woman makes her even easier prey. Saeb Erekat, the top PLO official, has no problem telling Haley that she needs to "shut up." Would Erekat ever dare to insult an Arab or Muslim woman in public? The consequences would be disastrous. The woman's family would never let it pass, and if Erekat would be lucky he would be shot only in a limb. The organization that Erekat represents, the PLO, by the way, is often referred to by Palestinians as the Professional Liars Organization. Last week, the Palestinian Authority took the anti-Haley campaign to new heights of hypocrisy by denouncing her as an "ambassador of hatred, animosity and dark ideology." US Middle East envoy Jason Greenblatt is yet another frequent target of the Palestinian campaign of hate and incitement. Palestinians hurl insults at Greenblatt virtually every day, although they still apparently have not decided if he, too, is a "son of a dog." Now the Palestinians are being told by their leaders that the US is "complicit" in Israeli "crimes." The Palestinians are furious that the US has not condemned Israel for defending its border with the Gaza Strip against infiltration attempts by Hamas the past two weeks. The Palestinians are even more angry with the Trump administration for blocking recent anti-Israel resolutions at the Security Council. The resolutions were supposed to have condemned Israel for thwarting attempts by thousands of Hamas supporters to infiltrate the border and kill Jews. Gone are the days when the Obama administration would permit the passing of such anti-Israel resolutions at the UN. Let us say this clearly: the anti-US campaign paves the way for terrorists to kill Americans. It feeds into the ideology of the Islamic State terror group, Al Qaeda, Muslim Brotherhood and Iran, which considers the US the "Great Satan." The Palestinian campaign is a license to kill US citizens and officials. Yet the international community is once again failing to call out the Palestinians for their cutthroat incitement. Yesterday it was Israel. Today, it is Americans. Would the Europeans care to hazard a guess on whose turn is next? Golda, when prime minister of Israel, made a statement that I am paraphrasing, "when the "Palestinians" love their children more than they hate Israel, then peace may be achieved." This is a truism today as it was when she said it. One really has to wonder whether the current Palestinian political leadership is interested in peace or has another hidden political agenda. Because peace cannot be achieved through insults, violence, threats and intimidation. That kind of thinking will lead to more violence and make peace impossible to achieve. Hamas bears the blame for making a bad situation worse by relying on street violence and indoctrinating young Palestinians with extreme anti-Semitism and hate-mongering. Killing Americans will not be a panacea to Palestinian political leadership shortcomings and bullying culture. I would truly like to know WHY it is that we (US), seems to fund & aid every country in the world whether it be friend or foe? How is it US can afford to dish out millions if not BILLIONS to these countries??? Can we not bring religion into this occasion or at least history taken from a trusted book, the Bible, written before these Palestinians existed ! Reading the Bible that scholars world wide have accepted as religious terms from truth in the Israeli history that clearly teaches the true ownership of Israel is the Jewish people. At the moment as i write this the Question Time TV is discussing Anti-Semitism. This is the theme no mention of the fact that each of the nations that surround Israel are issuing threats, Palestinians (No real claim) have made known that they want to destroy every Jew. The US must totally defund them and stop all fund raising that finds it way to this fake nation to fund their murders. Why pay people who consider you dogs and want to kill you, when they kill Americans will it be with weapons and bullets funded by the US taxpayer and their Islamic organisations and NGO groups that want to destroy the US and Israel? They only use the money to pay murderers and attack Israel. Whether it be North Korea or Pakistan or the Palestinians, our ongoing bribes to rogue states or pseudo-states "not to be so bad" have consistently proven feckless, fruitless and futile and have marked us and our allies as fools. Likewise, sanctions. When he was in the political wilderness in the 1930s, while Germany, Italy and Japan were arming for the next war, Churchill derided sanctions as a fools's errand. There comes a point when we must confront evil with force. The failures of Vietnam and Iraq seem to have made us loathe to expend the blood and treasure which force requires. Perhaps it's because we no longer have the competence or stomach — thanks to subversive media's coverage of the inevitable hell of war — to conduct a war, no matter how many of our lives it saves in the long run, no matter how crucial to preserve our civililization. The case for implementing the mass expulsion of Palestinians from Gaza, Judaea and Samaria was made out long ago. Too many of them are allied to the Islamic State for any of them to be allowed to live in Eretz Israel. One time I took a taxi to the airport in N.Y. The driver most of time spoke on his phone. When he hanged up I said to him "You are from Morocco." "How do you know?" "You speak Moroccan Arabic. For many years in Israel I live with many Jews from Morocco. That is how I know." The driver's hate of Jews and of Israel was like the eruption of a volcano. The PA is only part of the Ouma. It's hatred of Jews in that Ouma is universal and they all believe that what was once ruled by Islam must in the end return to be ruled by Islam. Israel being the Jewish state is first in line then comes Sicily and Spain. Egypt and Jordan have sign peace agreements but the Egyptians the Jordanians have the same volcano of hate as the Moroccan driver I encounter. This will never change except for Takia as a step necessary for the destruction of the Jewish state and replacing it with an Islamic state and all the Jews thrown into the sea. Everybody, take off your rosy glasses. Yesterday it was Israel. Today, it is Americans. Would the Europeans care to hazard a guess on whose turn is next? A very good and worthwhile question. Nowhere in this otherwise informative and interesting article does it mention the fact that the vast majority of Palestinians - around 99 percent - are Sunni followers of Islam. Surely this is an important, additional factor in the antipathy of Palestinians to any Jewish presence on "their" land? close political and commercial relations with Arab Sunni states such as Saudi Arabia? Thank you Mr.Tawil for this excellent article. However horrifying the thought of Americans joining Israelis on Palestinian hit lists, I cannot help hoping their inclusion might just jolt the remaining ostriches out of their complacency, if only in self preservation. (You know the reasoning--Jews are expendable, deserve it, etc. ) On the other hand, the fear and loathing felt for POTUS Trump and what he represents, might over ride any empathy. Or if fear is the deciding motive for their support, then perceiving that even Americans are vulnerable to Palestinian hatred, may serve to further entrench their attitudes. Your report is telling the world to wake up to the cold fact that those who call themselves Palestinians are no more than thugs. Dogs are loving creatures and any reference to dog by them in a derogatory tone should be treated with disdain. There is no capital of Palestine. They have no government - the country is a figment in the imagination of those who seek to harm to West. Given that Israel occupies less than 1 % of the land mass in the Middle East, it is time that we all awoke to the reality that the Arabs are playing deadly games making fools of us - let the Arabs supply land to these thugs / American stop giving these thugs financial aid. Say NO MORE.....might I add, for peace sake. The so called Palestinian Authority with one hand collects the money from the Trump administration and with the other hand they back stab the donor. Having friends like the PA, who needs enemies?